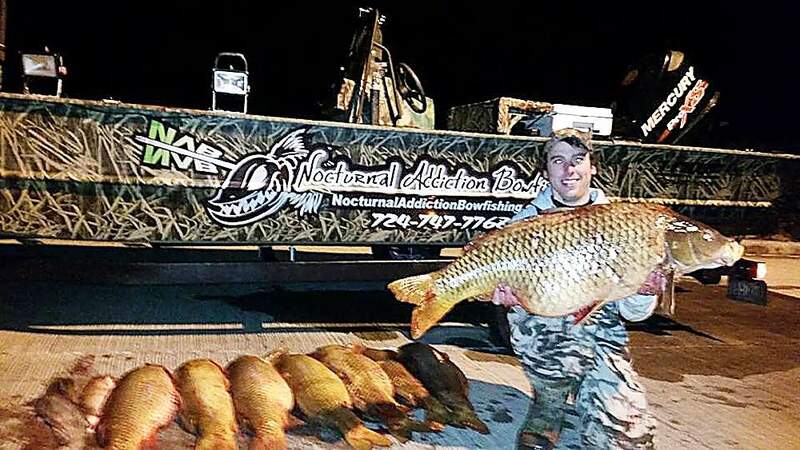 A couple of weeks ago, Washington’s Jordon Miller landed a state-state record common carp while working at his side job. • The Chestnut Ridge Trout Unlimited chapter will hold a meeting at 7 p.m. April 13 at Hampton Inn & Suites in California. The agenda will include an update from Donna Riggle on watershed activities in Washington County, a presentation by Jason White, president of Marianna Outdoorsmen Association on the club’s upcoming canoe race in Tenmile Creek and fly tying demonstrations in preparation for this year’s cicada hatch. • The 21st Pike Run Youth Fishing Festival will be held from 8 a.m. to 3 p.m. April 23 at Rotary Park in California. The event is free and open to children ages 15 and younger. A parent, guardian or responsible adult must accompany children younger than 13. Registration begins at 7 a.m. The Pike Run Fishing Festival Committee will stock nearly 600 trout in Pike Run for the event. Stocking will be done at 2 p.m. April 22. Youths are encouraged to attend. Fishing equipment will be made available. The festival is organized by California University Parks and Recreation Management program, Parks and Recreation Student Society, the Recreation Program Planning class, California University Eco-Learning Community, Pennsylvania Fish and Boat Commission, California Rotary and California Borough along with its recreation authority. Outdoors Editor F. Dale Lolley can be reached at [email protected].